CBD Oil for Pets from Dutch Natural Healing is a CBD oil specially designed for pets. The product is easier and more enjoyable for your pet to take than traditional CBD oil. The CBD concentration is specially adjusted for pets. The recipe of CBD Oil for Pets is based on our proven CBD extract, supplemented with the highest possible quality of pure salmon oil. What is CBD oil for pets? CBD oil, or cannabidol oil, is an oil made from hemp plants. CBD oil is not psychoactive because it’s not made from cannabis plants. Dutch Natural Healing has developed CBD oil for pets, especially for your loyal pet. This special CBD oil for pets is more pleasant to take than traditional CBD oil, partly because our special recipe contains pure salmon oil. This way it becomes a real CBD treat! Is CBD oil safe for animals? CBD for pets is safe for dogs, cats and horses. It is not recommended to administer the CBD oil for pets to animals during pregnancy and lactation. The CBD for pets oil from Dutch Natural Healing is made from the best quality hemp, which we produce ourselves. For this reason we sell the best organic CBD oil for people ánd for animals. CBD for pets can have a positive effect on the vitality of your pet. Please contact your veterinarian prior to using CBD oil for pets and indicate that you will administer your animals CBD oil for pets. Be sure to read the CBD oil instructions for use. Our body, but also the body of a horse, dog or cat and many other animals, has an endocannabinoid system. Brains have receptors for these cannabinoids. CBD reacts with this system and the receptors. There are quite a few possible benefits of CBD oil for pets. As a pet owner, you want your animal friend to feel the best possible. Our CBD oil for pets may have many health benefits like pain relief when a pet has chronic pain, may help with bowel disease, may reduce anxiety and may help with seizures and epilepsy. CBD for pets may also help for other health conditions. The oil may give your pet advanced mobility if your furry friend struggles with e.g. hip and joint issues. CBD drops may even fight cancer cells! Interested in the latest test results? Then you can email us. CBD oil for pets is mainly given to dogs and cats, but horses can also benefit from CBD for pets. Our product is organic and good for your furry friend! CBD oil not only helps people, but pet parents will be happy to hear CBD also helps dogs. They can benefit from CBD drops. Keep in mind the size of your dog when using CBD for dogs. For example, a small dog needs a smaller dosage than a large dog. Our CBD oil for pets is not only suitable for dogs, but also more pleasant to take than normal CBD oil due to the addition of salmon oil. When using CBD oil for dogs, starting off with one drop CBD oil is advised. You can repeat this twice a day. If the administration of the CBD for pets goes well, you can increase the dose after about ten days. You can add the oil to a dog treat, like peanut butter. This is a good trick for dog owners that don’t want to struggle! Using CBD oil for pets on cats has also been done for some time. There’s no proper dosage, but you can calculate the amount of CBD drops depending on the body weight of the cat. You can start using one or two drops of CBD oil. Little is known about the use of CBD oil on horses. That’s why the number of drops a horse is given, depends on the horse owner. Some animals aren’t too fond on CBD drops so giving your pet CBD drops can be difficult. That’s why you can mix the CBD oil for pets with their normal provender or add it to a snack. This way it becomes a CBD infused snack. Because the CBD for pets from Dutch Natural Healing has specifically been developed for animals, they prefer this oil to other CBD oils. Our CBD oil for pets for instance has pure salmon oil in it! At our webshop you can also buy other CBD products of the best quality, like our CBD oil (for people). We also sell CBD paste, CBD crystals and more. Buying CBD oil? One address: Dutch Natural Healing! We promise the highest quality for all our hemp products, rich in terpenes and with the richest variety of cannabinoids. Our CBD products also give the best entourage effect. Would you like to know more about Dutch Natural Healing? View our Terms of Service or contact us for personal advice. 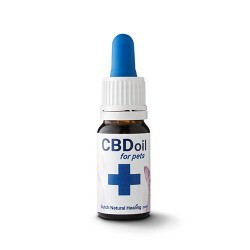 In our webshop you can buy our CBD products of great quality and you can pay safely.